Wyndham Place is a community of condominiums and townhouses in Freehold Township. It’s located west of Route 9 and adjacent to Raintree. Wyndham Place was built between 1987 and 1995. There are 474 condominiums and townhouses in Wyndham Place. Most of the homes are two or three bedroom townhouses. There are some two bedroom, single level condominiums. None of the homes have garages and some units have fireplaces. The homes in Wyndham Place are not eligible for FHA financing. There are alternatives to the FHA low down payment financing that are available to qualified borrowers. Call 732-598-7700 to discuss the options. The monthly fee includes common area maintenance, lawn care, snow removal and garbage removal. Use of the clubhouse and pool is available for residents. This is a pet friendly community. 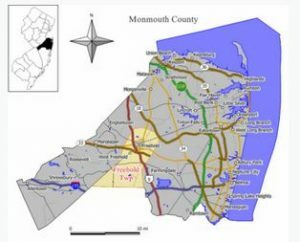 School age children living here will attend the Freehold Township school system – West Freehold School for grades kindergarten through fifth and Barkalow School for grades six through eight. Students in high school will attend the Freehold Regional High School District. High school students have other options. They can apply to attend on of the six schools in the Freehold Regional High School District. Each of these schools offer different specialized courses. Some of the courses offered are computer science, Medical Sciences, Law Enforcement and Public Safety, Culinary Arts and Hospitality Management, among others. There is a competitive application procedure to these schools. The Monmouth County Vocational School District also has full time high schools that offer other specialized courses of study. Available are programs in high technology, communications, healthcare and many more.